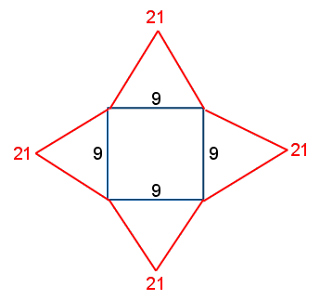 If the area of the square is 81, then all the sides are 9. 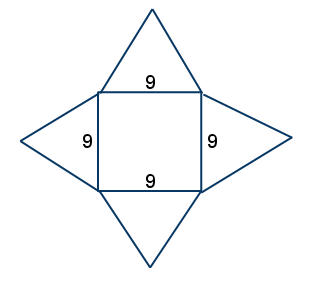 If the perimeter of one of the triangles is 30, but one side is 9, what's the sum of the other 2 sides? 30-9 = 21. Basically, we've got 4 sets of 21 making up the perimeter of the figure...so the sum is 84. Choice (D).